KERI-COT™ combines Keratin and Apricot in this rich moisturizing conditioner with a fresh Apricot scent. 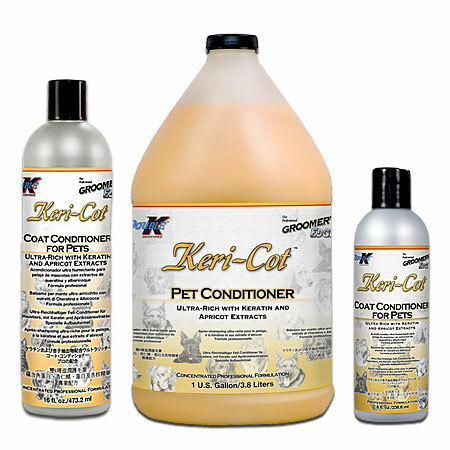 KERI‑COT™ restores life to damaged hair and prevents breakage. Enriched with vitamins, amino acids and Aloe. Great for dogs, cats, puppies, kittens and all companion and farm animals. May be diluted up to 4 to 1.